This newly designed villa is set overlooking the forest, to the ocean beyond. 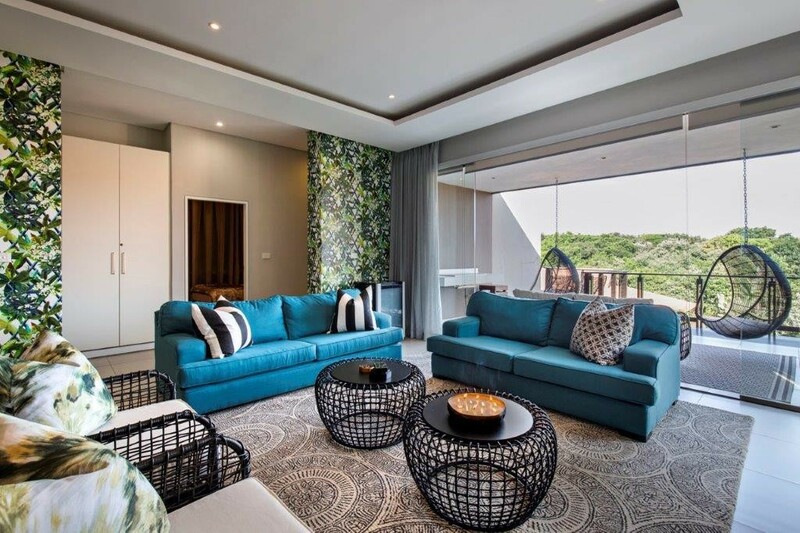 It has a light, spacious, open-plan entertainment area, which leads onto a comfortable balcony area complete with built-in gas braai and splash pool. There are three bedrooms and two bathrooms. Two bedrooms have double beds, and the main bedroom features a king size bed. This villa is beautifully decorated, and a pleasure to book for a holiday for six people. Single garage with washing machine, air-conditioning and DSTV. Access to Zimbali beach, Valley of the Pools, Bushbuck Clubhouse, tennis and squash courts. Various restaurants and pools in Zimbali. Bookings can be made at the Golf Course and Spa's in Zimbali.